I have been waiting forever for this and it’s finally happened! 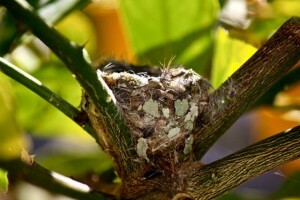 I’ve been soooo jealous of my friends who have had hummingbirds nest in their garden! Over the years, I’ve had my fair share of robins making their home in my garden, but come on, they’re nowhere as cute at hummingbirds and so I sigh and hope that maybe next year it’ll be my turn. 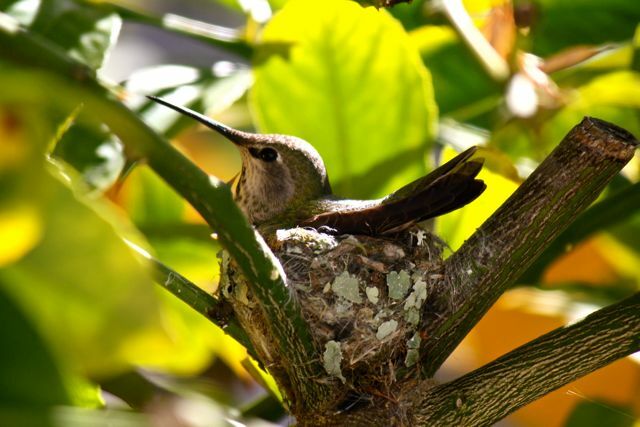 Everyday this week, I’ve been going out in the garden and thought it strange that a hummingbird kept circling around the lemon tree but thought nothing of it until I saw this!! 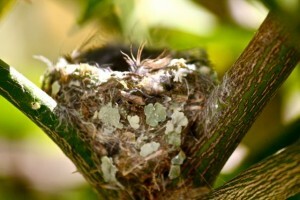 Now why can’t I have a nest with a cute bird?!? It’s your turn now…you watch! That’s awesome Georgina! How did you take the photo so close up? With a zoom lense I guess. Love all the pics of the nest and the mama bird. You probably have two eggs. It will be so much fun when the eggs hatch and you see two little beaks sticking out. Wow, Spring really has arrived!! And you are right Dolly and now we have proof!! I can’t wait to see the babies now! I wish the nest was in a better spot that I could take photos without bothering them.